A bishop has criticised Catholic politicians who publicly campaigned for the repeal of the Eighth Amendment for political reasons or “for their own personal advancement”. Bishop of Elphin Dr Kevin Doran said they should repent for promoting “the taking of innocent human life”. In his homily for New Year’s Day delivered at the Cathedral of the Immaculate Conception in Sligo yesterday, he said such politicians had “chosen a position which is clearly out of communion with the Church”. “There is no point in pretending otherwise,” he added. While the bishop did not name any politicians in his comments, the most prominent Catholic politician to back the introduction of abortion services was Culture Minister Josepha Madigan. She is an active member of her parish of Mount Merrion in Dublin and spearheaded Fine Gael’s campaign to repeal the Eighth Amendment last year. In the wake of the referendum, Bishop Doran said last May that Catholics who had voted Yes, intending that abortion would be the outcome, should go to confession. Ms Madigan has previously said she doesn’t believe she needs to go to confession as a result of her stance during the referendum campaign. 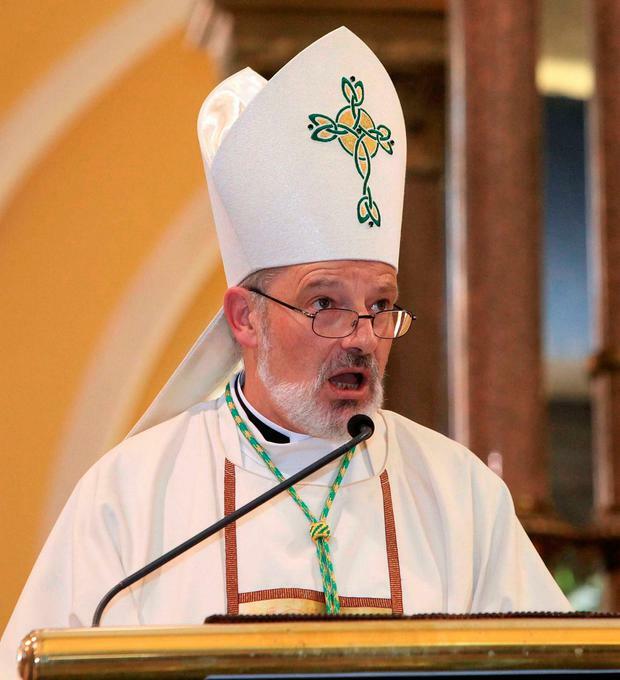 Yesterday Bishop Doran hit out at politicians who “publicly and persistently promoted” abortion “for political or ideological reasons” or “for their own personal advancement”. He said political representatives carry a particular burden of responsibility for the consequences their decisions have, not only for themselves, but for society as a whole. The outspoken prelate said it was “tragic” that, on the Catholic feast of the Motherhood of Mary, the “fruit of political action which is being celebrated by our Government and parliament, is the fact that today we have the beginning of what they describe as services for the termination of pregnancy”. He also lashed out at the amount of political energy that went into achieving this “fundamentally destructive target” and said this was energy that could have been used to do other things that would give life and hope to our society. He referred to the plight of those “stuck” in direct provision centres, families without a home of their own and the many sick people waiting on hospital trolleys, as well as the poor and the elderly. Returning to the issue of abortion, he said: “This denial of the fundamental right to life will, whatever people say, unquestionably undermine the common good of our society. “It will undermine the inner peace of mothers, fathers, grandparents, doctors and nurses and all who are directly touched by it,” he added. Dr Doran did, however, praise the courage of those in public life who during the past year had taken personal and political risks to defend the right to life. Last June, Archbishop of Dublin Diarmuid Martin clashed with Ms Madigan when she called for women to be ordained after she led prayers at her local church when a priest failed to show up for Mass. He insisted there was no shortage of priests in the capital and suggested Ms Madigan was being opportunistic.